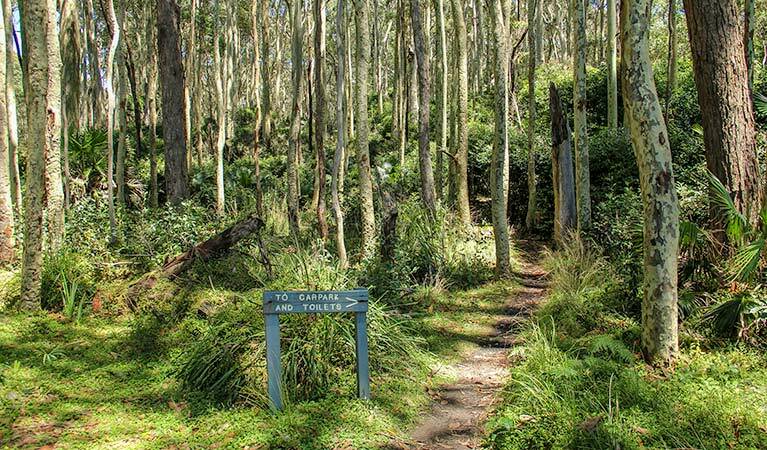 Depot Beach marks the start and end of this easy walk through lush littoral rainforest. Go for a swim, surf, snorkel or paddle in the clear waters when you return. 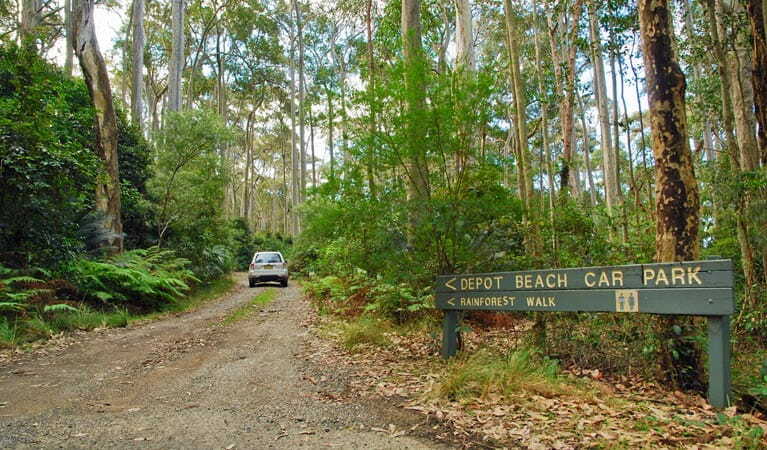 Depot Beach is a beautiful white-sand beach backed by a towering green rainforest that marks the beginning of the Depot Beach Rainforest walk. Walking this track you can’t help but imagine what the region was like 50 million years ago when the whole area was covered by this lush rainforest. 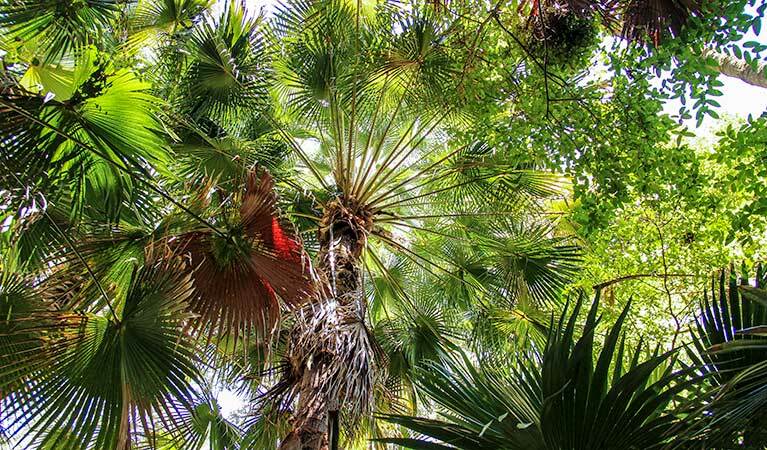 Few stands of littoral rainforest remain in Australia, which is why the precious area is listed as an endangered ecological community. 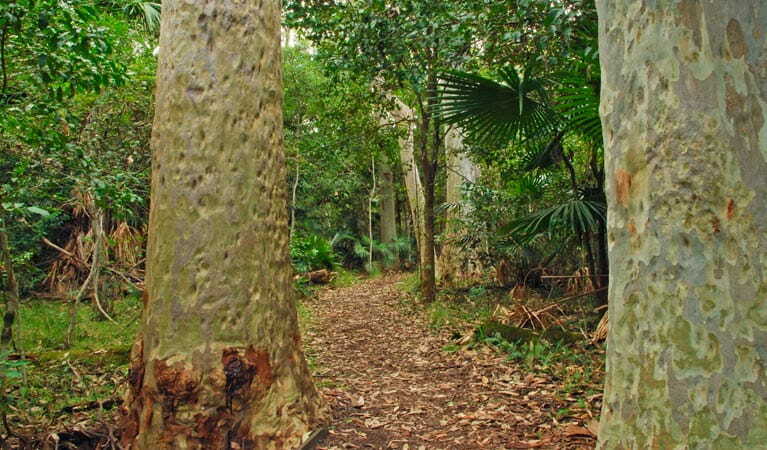 The short walk starts from Depot Beach picnic area and is great for kids who will love jumping across the stepping-stones and balancing along the many logs that line the path. It ends back on the beach, where you can indulge in the beautiful clear waters for a swim, surf, snorkel or a paddle. 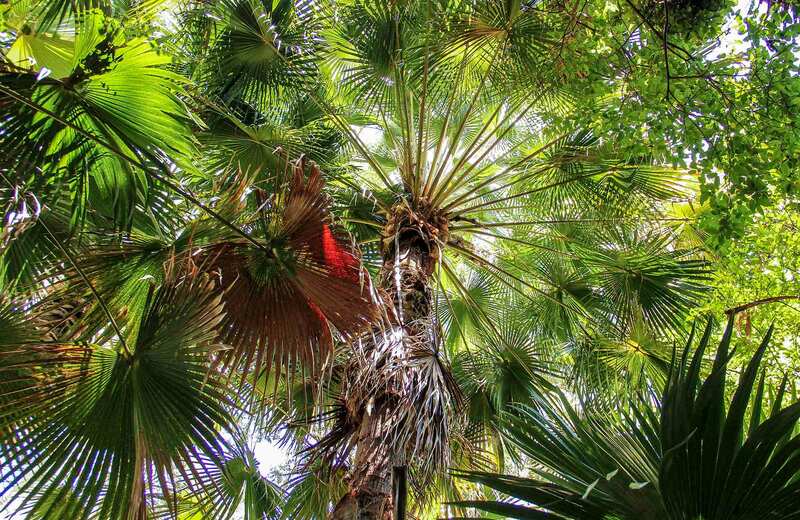 Take a virtual tour of Depot Beach Rainforest walk captured with Google Street View Trekker.